For anyone who dreams but does not dare, who truly believes in stewardship of wild lands of wonder for future generations—not just managing national parks as amusement parks—this is a compelling must-read that just might prompt you to kidnap your congressman and head off to the Brooks Range for proof—and life. An unlikely couple—a wild boy and a good girl—Ray and Barbara Bane, both teachers, set off from the sooty landscape of West Virginia into the snowy panoramas of Alaska. There they make another unlikely commitment: to learn the Old Ways of the land they come to adopt—and defend. 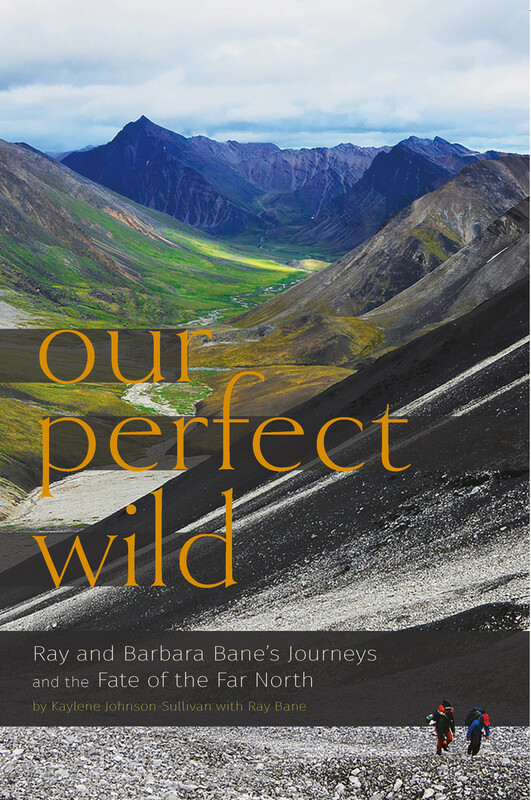 With her characteristic poise and bravery, distinguished Alaskan journalist Kaylene Johnson chronicles the Banes’ story of environmental gumption in the wilderness, and the tale of their marriage, too, in Our Perfect Wild. As her narrative gallops into environmental controversies, it shines with Johnson’s insight and intelligence. –Molly Peacock, author of The Paper Garden: Mrs. Delany Begins Her Life’s Work at 72 and Paradise, Piece By Piece. A finely crafted and compelling biography, interwoven with the struggle to protect wild Alaska—a must-read for anyone who cares about The Great Land, the last best place we have left on this continent, and perhaps anywhere on this rapidly shrinking planet. Whether we know their names or not, we are all indebted to Ray and Barbara Bane for their huge part in shaping Alaska’s future, and to Kaylene Johnson-Sullivan for her gorgeous, literary framing of their story. Brimming with rollicking wilderness adventure and priceless lessons on the Old Ways that span the depth and breadth of the great North state, all woven tight as a reed basket with the courage, humility and tenacity it takes to stand and fight for what you know and love. This story is vital to understanding modern-day Alaska. Without people like the Banes to shepherd Alaska through those pivotal times, I shudder to think what it would look like now. Read and be inspired … They (Banes) became one with the landscape and culture of the wild North and committed their lives to protecting Alaska’s wilderness. Even in their sunset years, the Banes continue to advocate for the “perfect wild” they hold so dear. Full of insights about life in the Alaskan bush, the politics of park protection, Our Perfect Wild will have you turning the pages long into the night. — George Wuerthner, author, photographer and Ecological Projects Director for the Foundation for Deep Ecology.